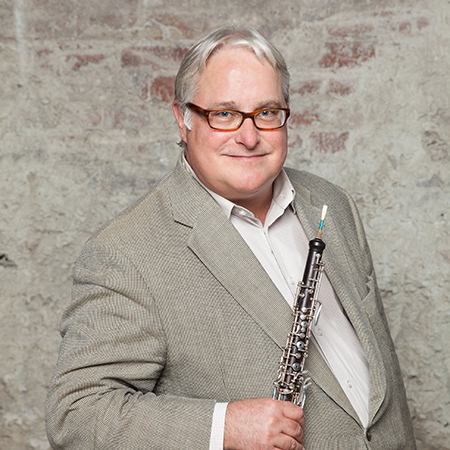 Roger Cole* has been principal oboist of the Vancouver Symphony and the CBC Radio Orchestra since 1976. He received his early musical training in Seattle, Washington and went on to become a scholarship student at Yale University and The Juilliard School where he studied with the renowned American oboist, Robert Bloom. Mr. Cole has participated in summer music festivals at Aspen, Tanglewood, and Marlboro, regularly performs in solo and chamber music recitals and has appeared as soloist with the VSO and the CBC Vancouver Orchestra many times. In addition, he has recorded a CD for CBC Records entitled “The Expressive Oboe”. Since 1998 he has been the principal oboist of the Carmel Bach Festival in California. In June 2003, Mr. Cole was named Music Director and Senior Orchestra Conductor of the Vancouver Youth Symphony Orchestra, and also teaches at the University of British Columbia and the Vancouver Academy of Music.